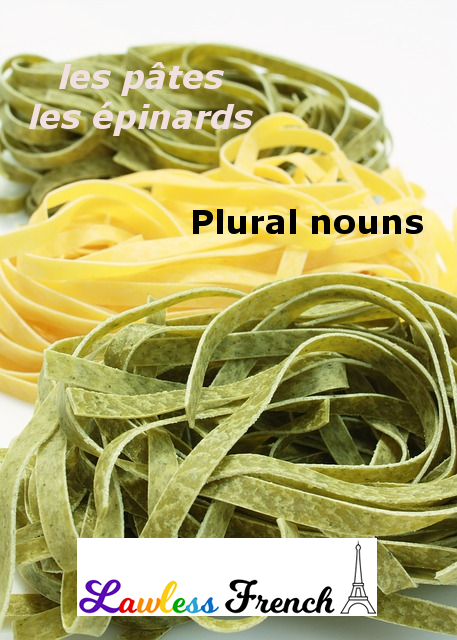 While most nouns, in both French and English, can be singular or plural, some can only be one or the other – and dozens of these don’t "match up" in the two languages. The nouns on this page are plural in French but singular in English. The French nouns are plural in every respect: they require the third-person plural (ils / elles) form of the verb, plural adjective agreement, etc. Je mange des pâtes aux épinards. 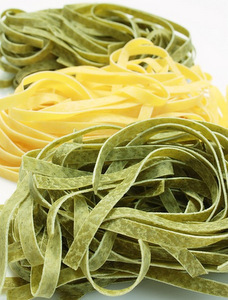 I’m eating spinach pasta. Vos conseils m’aident beaucoup. Your advice helps me a lot. 1. These nouns have unmarked plurals, meaning the same word is used for boths singular (the deer is) and plural (the deer are). 2. These are usually plural in French, but are occasionally used in the singular (lesson coming soon). 3. In fact, "data" is plural ("datum" is the singular noun), but many English speakers use it as if it’s singular. 4. For Christmas or New Year’s. 5. These nouns are countable in French (take an "s" for plural) but uncountable (always singular) in English.